Canada is one of the leading immigrant destinations in the league of countries like US, UK, Australia and many others. Over the years, people from other nations have sought to enter and live in Canada permanently. This country situated in North America is known for its warm and friendly people and lucrative opportunities in work and world-class educational facilities. It has many places of interest and has a part of the famous Niagara Falls too located here. Canadian immigration is now made possible faster through the Canada Express Entry which facilitates overseas skilled workers to migrate to Canada under various federal economic immigration program. The potential candidates need to fill up online profile stating information with regard to their age, education, language skills, work experience, etc. The good news is that there is no deadline to fill this application and no caps involved. The candidates who fulfill the criteria of the above mentioned federal skilled worker programs are accepted into a pool of eligible candidates. Those without a job offer from a Canadian employer or without nomination from a province or territory must enter their name in the Canadian Job Bank from where Canadian employers will pick up eligible candidates. Candidates with the highest ranking in the pool will get an invitation to apply for Canada permanent resident visa. They must make sure to apply for the same within 60 days of receiving an invitation. 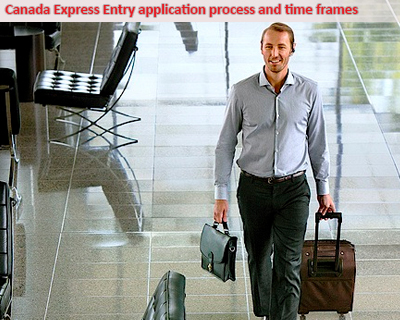 Waiting time for the entire process to conclude has been greatly reduced under the Express Entry program. All formalities will now be completed within six months time. In a nutshell, this scheme is much preferred by immigrants because of its expedited nature. Are you willing to migrate to Canada, Apply Now!